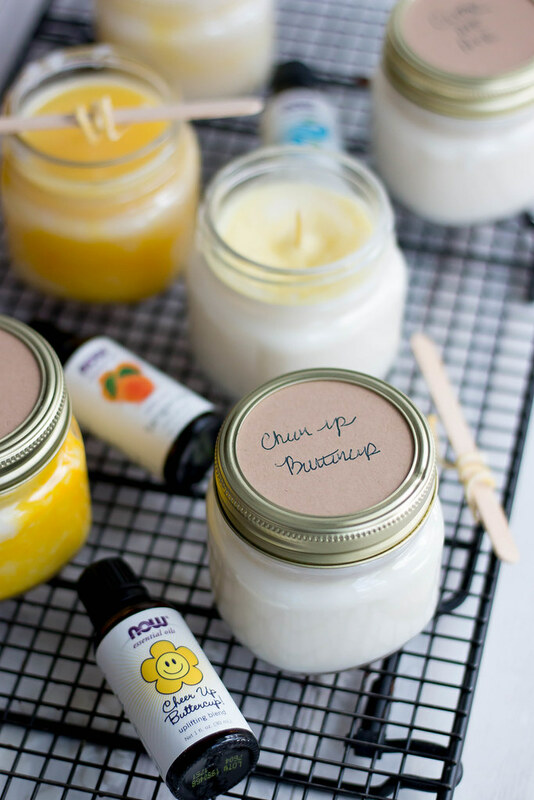 - Prep your jars by adhering the candle wick stickers to the bottom of the wicks if using, then sticking the metal bottom to the jar. 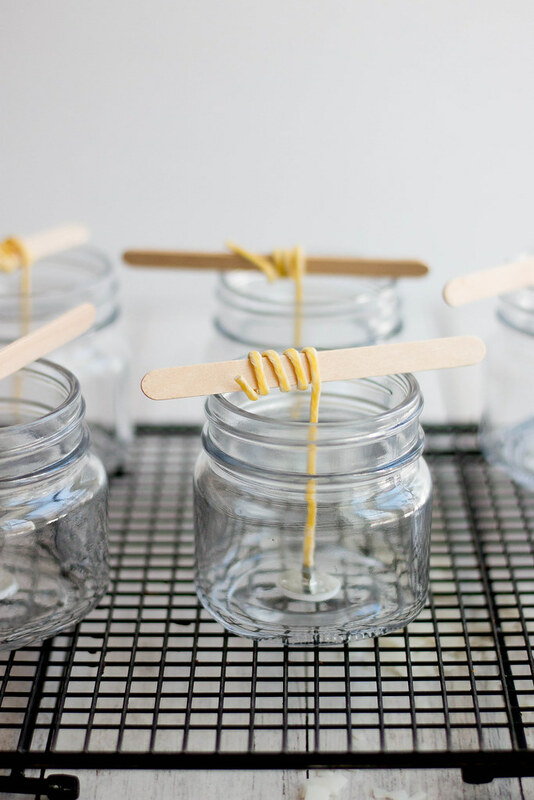 Slowly wind the wick around the Popsicle stick until it rests on the sides of your container- holding the wick straight and in place. 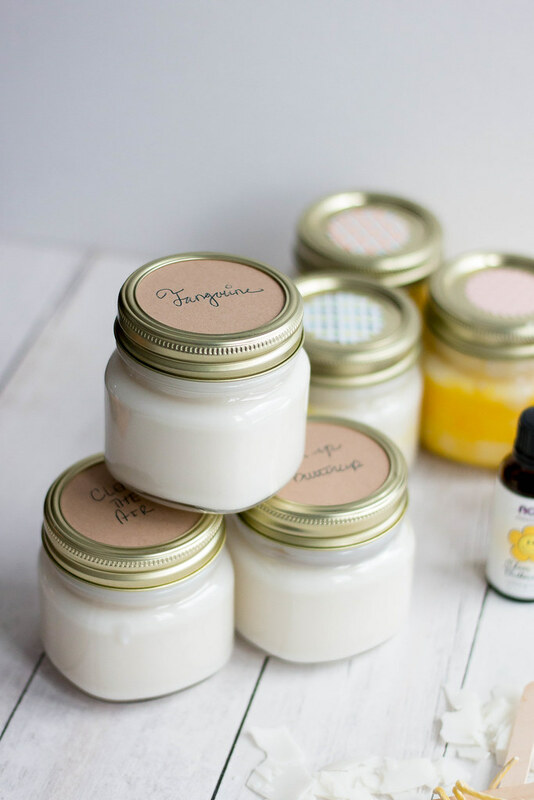 - Add about 30 drops of essential oils to each small jar or 50 drops You may have to adjust depending on the quality of your oils and the size of your container. - Fill your measuring cup with wax chips- I melted 4 cups of chips at a time which provided me with about 2 1/4 cups of melted wax. Melt in a double boiler stirring constantly with a wooden skewer or melt in 30 second intervals in the microwave. I experimented with both methods- the microwave method was by far the easiest, you just have to be careful not to over melt the wax. - Label, burn and enjoy! 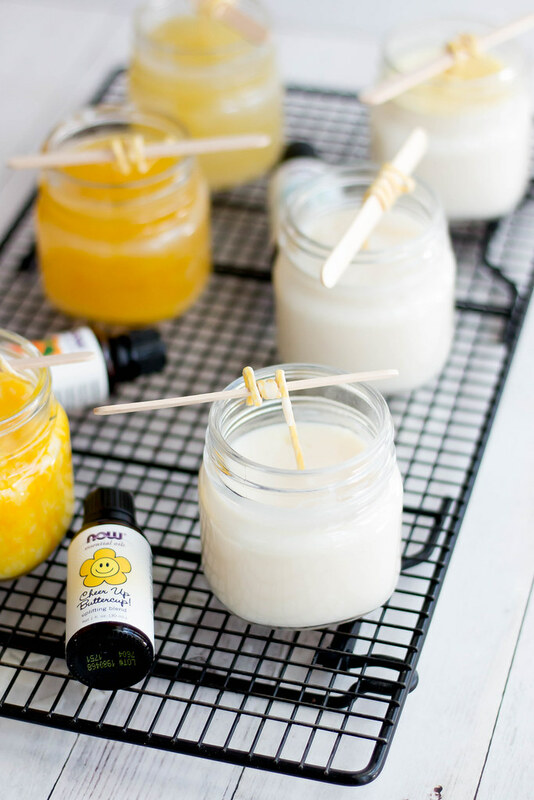 To get you started on your candle making journey NOW is giving away 2 of my all time favorite essential oil sets (I use them everyday!) to one lucky winner! 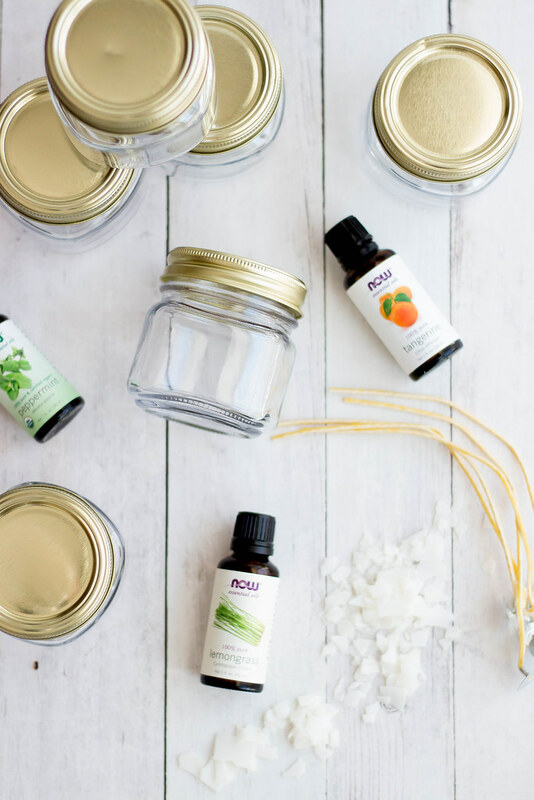 There are so many amazing uses and benefits to essential oils. 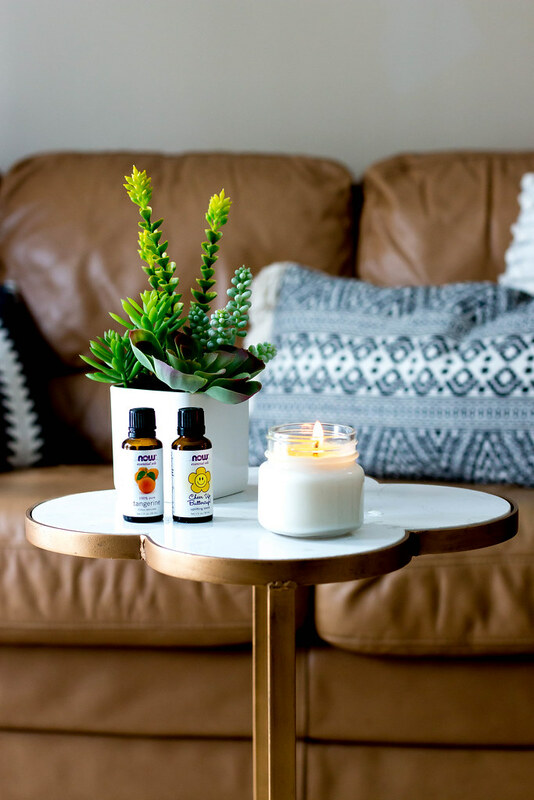 Simply leave a comment below on your favorite way to use essential oils, visit my instagram - become a follower and leave a comment or visit NOW on Fave book for a chance to win! I love using essential oils as eastern medicine. I like to use them in my diffuser, and I also will use essential oils when cleaning. My current favorite smell is lemon. I don't actually have any of my own essential oils (yet), but I've been contemplating getting some and a diffuser to get some calming vibes (and good smells!) in my apartment. I absolutely LOVE my diffusers! I have ever used them but would love to learn about them. 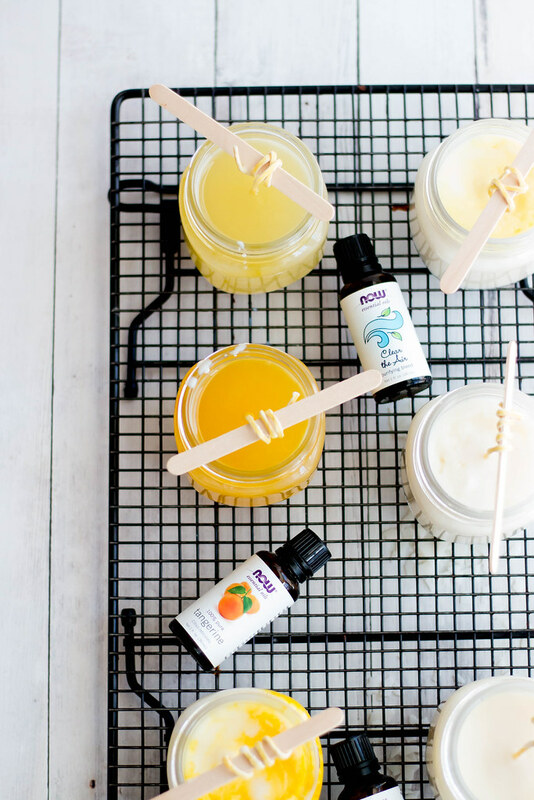 Essential Oils are amazing and definitely worth learning about- they are so versatile! I'm going to try this today!! What I have been doing lately is mixing lavender oil with water and spritzing it on my roots, it makes my hair stay so fresh! Nice Post! Its really an interesting Piece of information. Keep Sharing On. It is a great post! thanks for sharing with us.